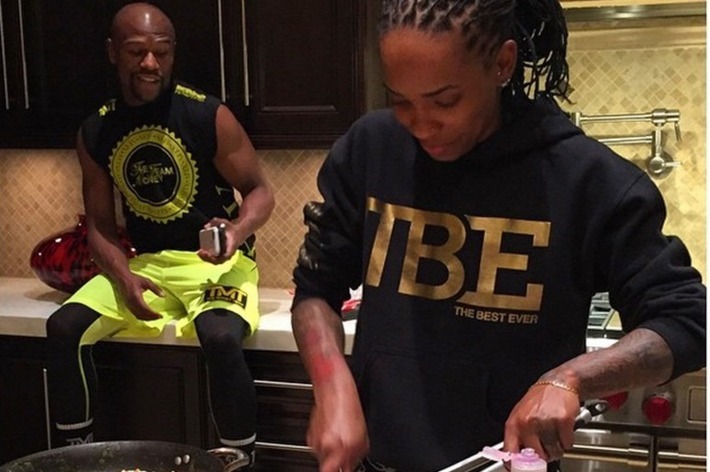 Floyd Mayweather Jr. found his personal chef on Instagram. Last year, ahead of a bout with Canelo Alvarez, one of the boxer’s assistants was looking at the photo-sharing site when she happened across drool-inducing images of bread pudding and crab-salad cucumber cups. A chef named Quiana Jeffries had prepared them for Tony Gaskins, a former drug dealer turned motivational speaker and celebrity life coach. The assistant saw in Jeffries’s creations a culinary talent capable of satisfying the quirky and challenging palate of his boss (and replacing the chef who had just quit). He quickly reached out and invited Jeffries, who lived in Los Angeles, to Mayweather’s Las Vegas mansion for a test meal. “I drove through the night to get there,” Jeffries recalls. She arrived in the morning and made Mayweather a breakfast consisting of a keilbasa sausage, a spinach omelette with bell peppers and onions, and croissant French toast. The boxer hired her on the spot, and she’s cooked for him ever since. The gig is like no other. Mayweather is such a reality-warping force in his own training camp that he refuses to set a daily schedule of any kind. Each day, his entourage — including his father-slash-trainer, his uncle-slash-trainer, his hand-wrap specialist, his conditioning coach, his bodyguards, and others — wait outside his gated home with their gear packed, often lingering into the early morning hours for the fighter to decide what he wants to do. 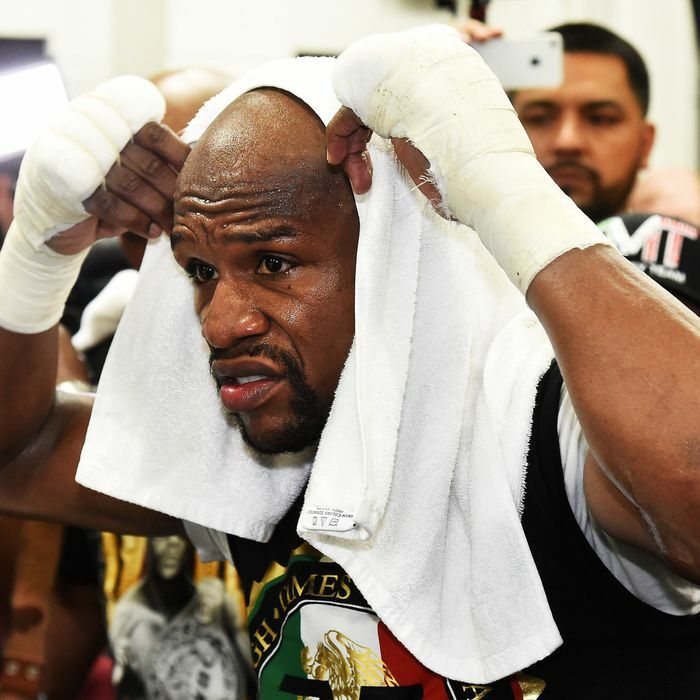 Mayweather has thrived off this spontaneous model for years, and while those on his payroll have grown accustomed to his eccentric routines, the shifting schedule is especially challenging for Jeffries, one of the newest members of his team. “If Champ wants a meal at three, four, five, six in the morning, I have to be ready for that,” Jeffries says. “He’s called me at four and says, ‘I want that oxtail.’” She immediately got going on a batch of her special oxtail stew smothered in gravy. In less than a week, Mayweather, the richest and probably the most talented boxer of his generation, will face Manny Pacquaio in a bout expected to generate over $300 million in revenue. Both fighters are near the end of their careers, and Mayweather, 38, has gone to unusual lengths during his training camp to keep his aging body fresh. Recently, he claimed to be the first patient of a company that provides him use of their Cryosauna, a contraption that exposes him to temperatures as low as negative 240 degrees Fahrenheit, which is said to speed muscle recovery. Diet, of course, is a key element of his training regimen. “He wants all organic,” Jeffries says — sometimes a tall order in a place like Vegas. She has looked for a farmers’ market, but says she has yet to find one. Even so, it probably wouldn’t be open at 3 a.m.. There are several 24-hour supermarkets, but not all the departments of those stores stay open, and racing to get ingredients for Mayweather’s meals has become a kind of sport for her. “The seafood counters always close early,” she says — so she’s befriended night managers who can retrieve special ingredients for her. “They all know who we work for.” She’s generally able to get items like king crab legs and shrimp, essential ingredients for the seafood gumbo Mayweather loves, any time of the day or night. Boxers are notoriously paranoid about who makes their meals because the sport is strongly tied to gambling, and a stomach bug or even sluggishness could affect the outcome of a fight (and make anyone in the know very rich). In his camp, Pacquaio has delegated all cooking to Nonoy Neri, a trainer from the Philippines who prepares home-country dishes like beef soup with cabbage, fish soup, bitter melon and eggs, and chicken and tomatoes, all served with generous portions of rice. Mayweather’s tastes are more eclectic. “He like things with a lot of flavor,” Jeffries says. 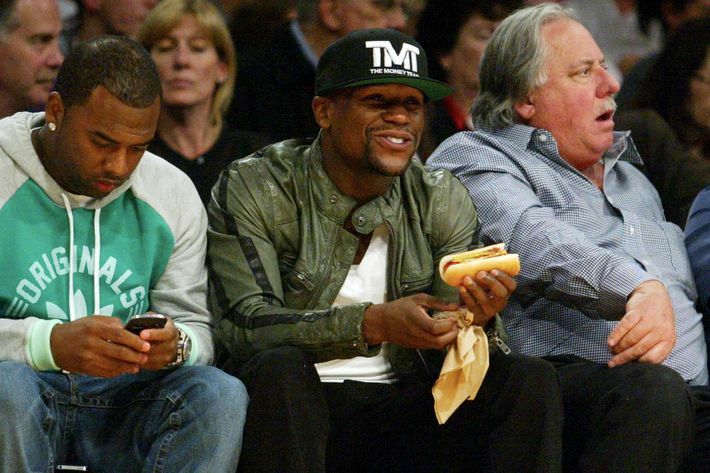 “He loves broccoli.” Mayweather? Broccoli? “He loves it the way I make it,” she says, and describes her method of preparation: sautéeing the florets in butter and garlic, then dusting them with Cajun spices. As a chef, Jeffries’s primary influences are Southern-Creole. She was raised in Compton, one of the toughest neighborhoods in Los Angeles, but spent time as a child in New Orleans, where she learned how to cook from her grandmother. She graduated from the Cordon Bleu School of Culinary Arts in Pasadena and worked at Otis Jackson’s Soul Dog restaurant in North Hollywood. She wants to prepare dishes that make her client happy, she says. Growing up in Grand Rapids, Michigan, with a father who spent years in prison and a mother who struggled with drugs, Mayweather often didn’t eat the most nutritious diet. Some of the old habits remain. “Twizzlers are his favorite,” she says. One of her biggest goals has been helping him adjust to new flavors. “We’re big on juice,” she says, explaining that every day she blends up pineapples, oranges, strawberries, red peppers, red pears, and a secret ingredient.